Turning dry, seemingly uninteresting topics into engaging content for employees is the biggest challenge facing Ethics and Compliance professionals. 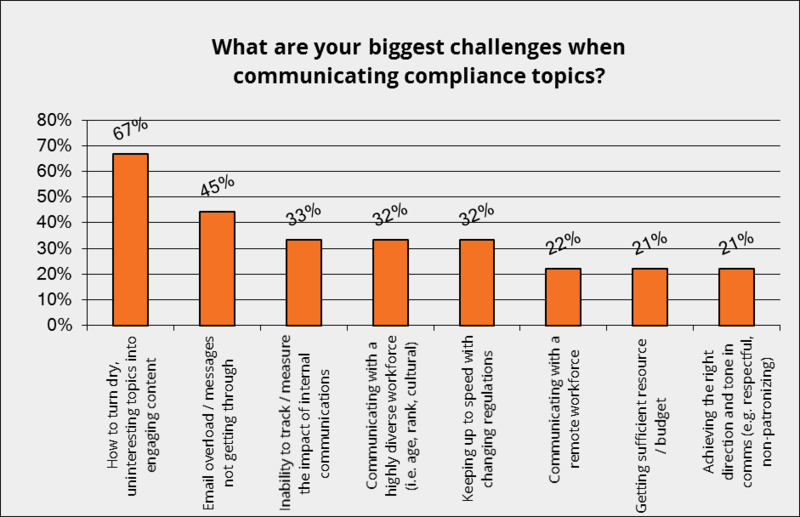 That’s the feedback from a delegate survey held at HCCA’s 21st annual Compliance Institute in Maryland last week (26-29 March 2017). Sixty-seven per cent of respondents said they struggle with transforming dull messages into content that staff want to engage with. The second biggest challenge, say 45% of respondents to the SnapComms’ survey, is email overload, and specifically, the growing concern surrounding messages failing to get through. “These results highlight just how difficult it’s become for organizations to get employee attention,” says SnapComms CEO, Sarah Perry. Delegates also were asked to list their priority topics for communicating. These are: ‘Improving Internal Culture’ (67% of respondents), Patient Privacy (HIPAA) and IT compliance (56%), and Health and Safety (44%). Attendees also responded with their thoughts on the most effective way to get staff compliance for new policies and legislation. Repeating messages sent at different frequencies; incentives (prizes); and in-house training with related employee activities were cited as the most successful methods. And finally, when asked what their one wish would be to make their job easier and more effective, answers ranged from: tracking to ensure all employees completed training; easier access to regulations; and an automated library of topics specific to their industry. In summary, delegates reiterated the need to communicate important ethics and compliance topics in a fresh, exciting and measurable way (not email!). 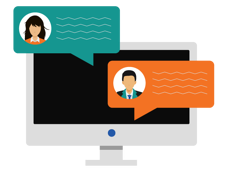 Do you face similar challenges to those shared with SnapComms at HCCA? Share your thoughts in the comment box below.